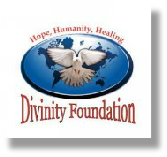 Divinity Foundation is a private Humanitarian Aid Organization founded by Osteopathic Practitioner, Nav Matharu. We empower and offer support to Orphaned, Abandoned and Impoverished children and mothers in selected global regions through our Healthcare, Education and Food Aid programs. We also provide Humanitarian Aid Relief during civil unrest or natural disasters, when possible. We're a unique, private organisation that believes in nurturing young lives and investing time and money into helping those in need. Each person in our organisation is united with one common goal, to serve with "Health, Humanity, Healing". The organization is not affiliated to any government or religious beliefs. Support us in providing for the Children of Today....the Leaders and Peace Keepers of Tomorrow. Impoverished communities the world over are deprived of basic healthcare. They are deprived of simple drugs for simple infections and as a result, many die of conditions that can be easily treated. Our medical projects are simple and basic but meet the needs of those we aim to help. Many children living in unsanitary conditions in the slums suffer from a fungal infection known as ringworm, which is usually present in children with a challanged immune system due to HIV / AIDS. A simple dose of antifungal and multivitams is usually all that is needed to treat. Many children also suffer with threadworms and tapeworms which inhibit what little food they do eat from nourishing the body. As a result, many children suffer with deteriorating health, starvation despite eating food leading to weakness, fatigue, poor health and in many cases death. It costs 50p / 75cents to de-worm a child. In the bush lands, girls as young as 13yrs old are dying while trying to give birth. It costs just £5 / $8 for a girl to have essential c-section surgery and 50p / 75cents for each night of post-surgical hospital care. A mere £10 / $15 ensures that a girl can deliver a baby safely in a hospital instead of struggling for days in the bush resulting in the death of mother or baby from trauma and haemorrhaging. Children in slum areas suffer from chest infections, which left untreated compromise the lungs and start to starve the body of oxygen levels. In many cases the infection spreads to other parts of the body. A mere £1 / $1.75 will buy a single course of antibiotics for a child to treat a simple infection from becoming life threatening. We believe in ensuring that orphaned, abandoned and impoverished children and mothers receive the basic healthcare that can make the difference between life and death. With your help and support we can ensure that these projects are kept alive and provide an essential free service which should be the human right of every person, young or old, rich or poor. Each year large teams of volunteer osteopaths, nurses, doctors, educators and students get together twice a year to run two weeks of free mobile medical camps which sees the team working in the slums, in city charity hospitals, orphanages and in rural bush lands under the shades of trees. During the camps free checkups, treatment and basic medicines are supplied. A two week programme costs us £5000 / $8000 An estimated 4000 children and mothers are treated for FREE during each two week camp. Currently our medical out-reach camps in Kenya are held during the months of April and October.Children are primarily treated by osteopathic treatment and first response medications are used to treat conditions such as: Ringworm, chest infections, dehydration, eye infections and malaria. This project is named “Healing Angels” in honour of all the volunteers from Europe and USA that make the medical out-reach programme possible through volunteering their time and skills to help impoverished people. The practice of Female Circumcision is carried out in many cultures in sub-Sahara and the Middle East. While this practice is illegal in Kenya, there are still remote tribes that practice the rite of passage ritual on girls at the age of 10yrs. Many of these young girls are uneducated and unaware of their rights. Many of these girls will get married and are pregnant at the age of 13yrs. Circumcision causes real problems for a young girl, trying to deliver a baby through an opening only big enough for a pencil. These girls will struggle for days in the bush trying to deliver babies and either have to be re-cut or will suffer from fistulas. Many die of haemorrhaging and deliver still born babies due to birth trauma. Surgical c-section delivery can help these girls have a safe birthing experience; however these tribes do not have the money for hospital care. £10 / $15 will pay for a girl to have c-section surgery with essential post-surgery care. Our maternity care project found its wings this year and finances c-section surgery with post-operative care for 10 girls each month at a cost of £100 which in no way is enough to support all the girls who require hospital care. Education is one of the most powerful tools to a successful life. We hope to empower children through our education projects to lift them selves up from a harsh life on the streets and slums. We aim to provide them with the tools to grow up, get a job thus lifting them out of a life of poverty and crime. We hope to plant seeds of peace and hope in youngsters through education so that these children can tomorrow lead their own communities to life their heads up and unite in a common goal of peace and prosperity. We realised a great need to educate the girl child in the dessert region of Pokot. This was the only way to educate girls about their rights in order to abolish Female Circumcision and to empower the girls to have respect in their communities by giving them tools to earn some money through arts and crafts.A very generous donation of educational books and learning materials by Nairobi’s leading bookstore, Text Book Centre ensured that the very first educational project for girls was started this year. We have named this project “Rughani’s Angels” in memory of co-founder of the Text Book Centre in Nairobi, Mr Maniklal Rughani whose spirit of learning lives on in all the lives this project will touch and empower. A planned drop in vocational and recreational centre designed for street kids, so they can enjoy their childhood in a safe environment. The centre will offer youngsters the chance to take a literacy classes, enjoy daily story time, play board games and sports as well as have access to Samaritan services. Each Sunday a soup kitchen for the children will also be operated from the centre. We are currently sourcing a central, safe location for our Children’s centre and require funding and donations of centre equipment. Please join us today in lifting this project from the drawing board and making it a physical reality. Food and oxygen are a basic necessity for survival. Tons of perfectly good food is disposed of daily because it has gone past its shelf life date though perfectly safe to consume. Daily in households in the west there is a lot of food wasted. Yet on the streets and slums of so called “third world” countries countless children go without a decent meal each day and each week. The cereals, chocolates, cakes, cups of tea and coffee that we take for granted each day are a dream to many children roaming hungry in slums and streets in many countries globally. Our food aid project provides a basic meal to orphaned and street children. This year we have are supporting two orphanages set up by local community women who saw the need to nurture the homeless children living in the slums. Each orphanage receives a monthly food donation of produce purchased by Divinity Foundation and food donations from food producing companies who have pledged to support us in our work by donating food items for our projects. Supporting two orphanages each month costs us £200. Today you can help in this project by making a pledge to donate £10 a month towards our food programme. We have named this project “Marwa’s Angels” in memory of Preetam K. Marwa an exceptional woman who nurtured her family with love and instilled the spirit of community service in her family members. Her spirit lives on in all the children this project will help nourish. Many people ask us, what if I don’t have time to volunteer and I want to give something other than money. Can I still help? The answer is a resounding “YES” We believe that giving and service comes in all guises. You can donate items, you can help spread awareness of humanitarian issues and tell people about our projects, you can meditate and send us plenty of good energy and intention. 2) Our Charlie's Angels project in Kenya, is supporting 10 teenagers by providing vocational training and job placement. Are you able to sponsor one of these kids either as an individual or as a group of office workers or friends? Sponsorship to help provide clothing, accomodation, food and skills training per teenager is £15 or $25 a month. 3) We are always interested in people who can mail clothes, books, art supplies, bedding to our kenya office as well as food and basic hygiene products. Whatever you can donate, be it small or large, we thank you all in advance for your support. Your help and encouragement, are what enable us to reach out and help the impoverished and orphaned in Africa. Adinda gaat in mei 2013 als osteopaat vrijwilligerswerk doen in Kenia, voor de Divinity Foundation (mother and child center). Ze gaat vooral kinderen (weeskinderen, achtergelaten kinderen en kinderen in armoede) en zwangere vrouwen behandelen in de sloppenwijken en op het platteland. Graag vragen wij U als U iemand weet die bovenstaande spullen heeft en er niets mee doet of Adinda dit mee mag nemen of op mag sturen naar de foundation. Tevens gaat Adinda een percentage van haar consulten tot mei 2013 afstaan aan de Foundation. Waarom moeten baby’s (en kinderen) naar een osteopaat?